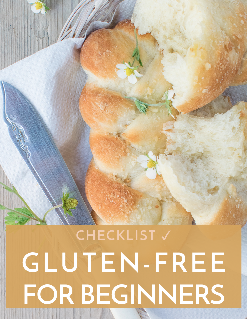 Unless you have been living under a rock, you have undoubtedly seen or heard many people saying they are reducing their gluten or giving it up altogether. In some cases, people actually have allergies or a condition called Celiac disease, which is causing gluten to make them ill. Others simply have a sensitivity or intolerance to gluten. The latter is more common, so that is what we are going to talk about. Gluten is a type of protein that is found in a variety of different grains. Many people think about wheat as being gluten, but it can also be found in rye, oats, and barley. The gluten protein is made up of other proteins, including glutenin and gliadin. These are often more closely linked to people that have negative reactions in the form of a gluten allergy or Celiac disease, which is an autoimmune condition of the small intestine. The symptoms are slightly different when comparing an intolerance or sensitivity to gluten as opposed to actually being allergic to it. When you have an intolerance to gluten, your symptoms can range from mild discomfort and abdominal pain, to some of the more common signs of being allergic to gluten. First of all, you might find that you have abdominal discomfort or indigestion when you consume foods with a lot of wheat or rye. There are actually many regular food items that contain wheat or other grains, that you would otherwise think are harmless. You may eat a simple sandwich with wheat bread and suddenly find that your stomach is hurting and you might even have diarrhea or nausea. Some other common symptoms include headaches, skin changes, and allergy symptoms like coughing, sneezing, and runny nose. If you are found to have a gluten sensitivity, you don’t have to completely give up all gluten, but you do need to decrease it as much as possible. The more foods you eat with gluten, the worse you are going to end up feeling. They might not cause serious illness like if you had Celia disease, but gluten can definitely make you feel ill. If you want those stomach aches and migraines to go away, stay away from foods with wheat, rye, or barley. This includes most breads, grains, pasta, and a wide range of packaged and processed foods. You should try to stick to a diet consisting primarily of fruits, vegetables, and lean protein like meat.